Life is hard and sometimes we just need a little break. 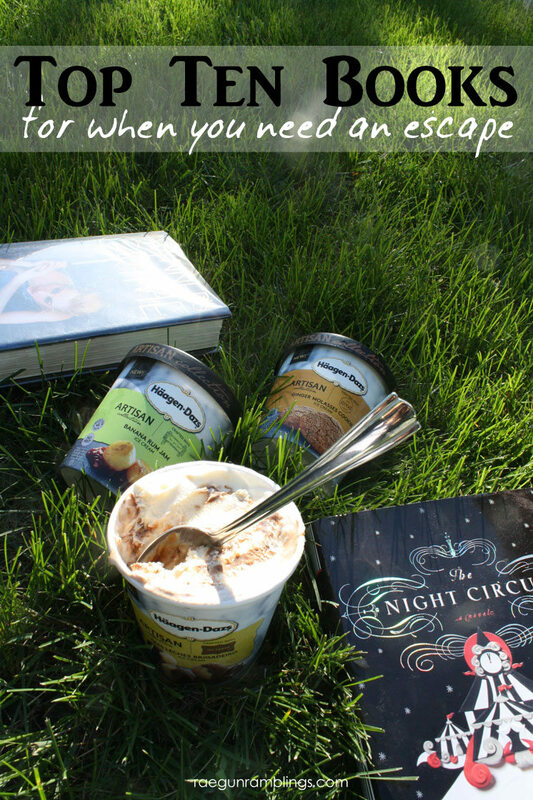 So, grab your some ice cream because here are 10 books for when you need to escape. For each I’m including why I think it makes a great escape read! You can click each of the titles to take you to amazon where you’ll be able to read the full description of the book. Atlantia – For when you want to escape the expectations everyone (maybe even you yourself) has for you. A fun standalone book about sisters who live in a community underwater and their individual paths. Meant to Be – For when you want to literally escape and go on vacation. 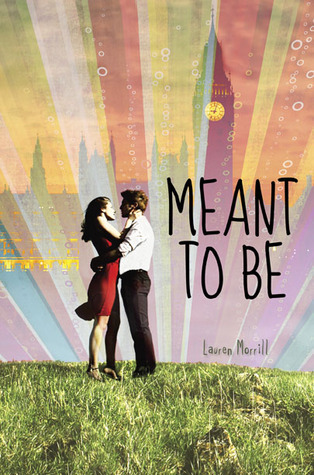 Run away into a school trip to London with this easy read full of Summer travel and even a little romance. The Night Circus – For when you want to escape the dullness of everyday’s responsibilities and fall into something mysterious and magical. You want want to leave the gorgeous world of the Night Circus. Watching the circus be built the magic all around and drama within will give you a break from your own drama in the most entertaining and magical way. The Summer I Turned Pretty – For when you want to escape grown up life and go live by the beach with cute boys. This is the perfect “I wish I could just go to the beach” book. It’s light, it’s cute, it’s not completely shallow and there are two more books in the series so when you’re done you don’t have to be done. Dash & Lily’s Book of Dares – For when you want to escape your own insecurities and just let loose in an adorable good clean PG-13 way ;) The characters in this book will steal your heart along with your worries. They are so quirky and loveable this easy light read is perfect for getting lost in whenever you need a brake. The Sea of Tranquility – For when you want to escape your past and the crappy things life has thrown in your path. Everyone is broken to some degree and these characters have had it bad. A boy that avoids getting close to anyone and a girl who doesn’t talk but dresses like trouble. The way they help each other will win you over and make you believe that as bad as things might be you can get through it. Amy & Roger’s Epic Detour – Also for when you want to escape the junk that life hands you but in a lighter and more literal way than The Sea of Tranquility. This is a road trip book! Jump into the car with Amy and Roger as they try to avoid the crap but find a way to work through it and have an adventure. 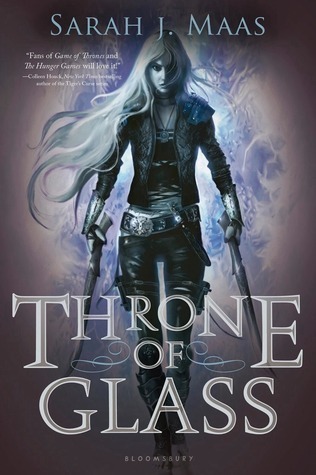 Throne of Glass – For when you want to escape the mistakes you’ve made and become someone really amazing. Join Celaena, teen assasin as she tries to earn her freedom from a heinous work camp. Its a competition of brutality but not without romance and plenty of cute boys. This book is so hard to describe but it’s great. It’s light fantasy with the books later in the series even more so but they are all excellent and a great distraction from this world! I’ll Give You the Sun – For when you want to escape the burden of carrying other people’s secrets. Two very different siblings at two different times. They’ve been through a lot and find themselves dealing with it in different ways. The story alternates from his perspective when they are younger to hers a few years later. It’s such a unique book I found it hard to get into at first but I’m glad I stuck with it because it’s quite brilliant. 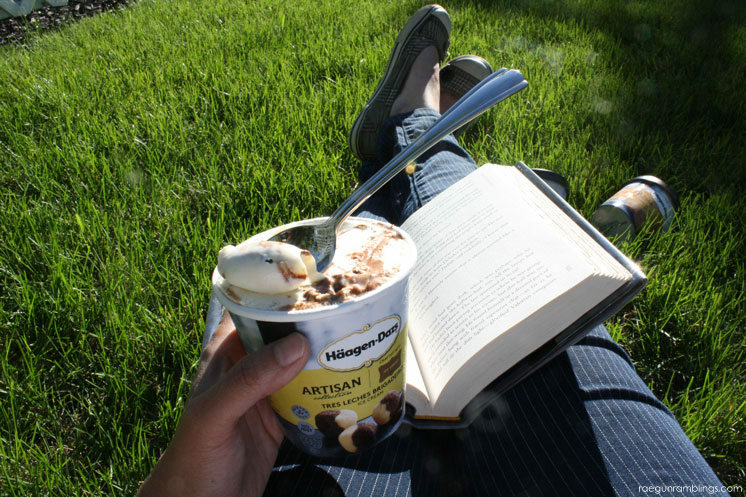 Which ever book you pick make sure to grab a container of the luxurious Haagen Dazs Artisan Collection for the ultimate escape. I found mine at Walmart. If you follow me on Instagram you know my husband and I are crazy foodies and we cannot resist new fancy ice cream flavors. I had to limit us to just 3 this time bwahaha. 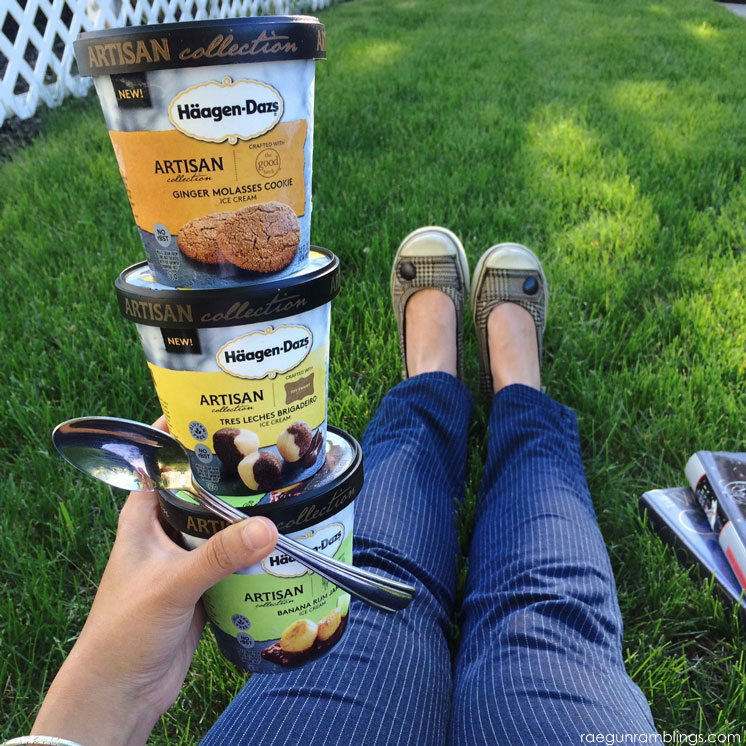 I can’t wait to try all of the Artisan Collection flavors. My favorite of this bunch was the Tres Leches Brigadeiro which is a chocolaty caramely yumminess. My husband is super obsessed with the Banana rum jam Ice Cream and I think the Ginger Molasses tastes just like Christmas in a carton, great for ginger fans. 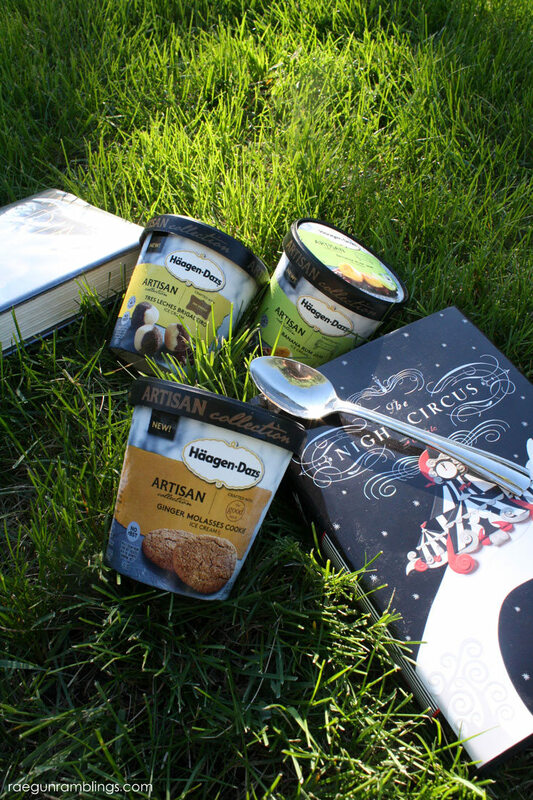 Thanks to Haagen Dazs for sponsoring this book list, this is a post I’ve been wanting to write for a while and we are already long time fans of Haagen Dazs so win win right? To learn more visit Haagen Dazs on Twitter, Facebook, and Instagram! I shared some of my favorite treats and reads for when I just need some me time, what are some of your favorites? It never fails. 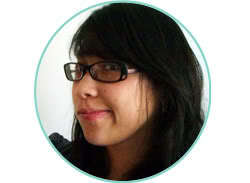 Everytime you post one of your book lists, my to-read list on Goodreads gets longer! Oh man, the Night Circus is one of my favorites! So good! Also, I loved the Girl of Fire and Thorns and the Throne of Glass…so needless to say you have good taste in books and I will have to check out the rest! I love those ones SO much. Let me know if there are any others you really like I don’t want to miss anything good!! Great ideas thanks. I just started one of them and am enjoying it but need to find some more so I will check them out. Always looking for good books to read…thanks. I will be checking several of these out. Thanks for the list! What a great list! I’ve seen most of these, but have’t had the chance to really look into them yet. Thanks for sharing them all. 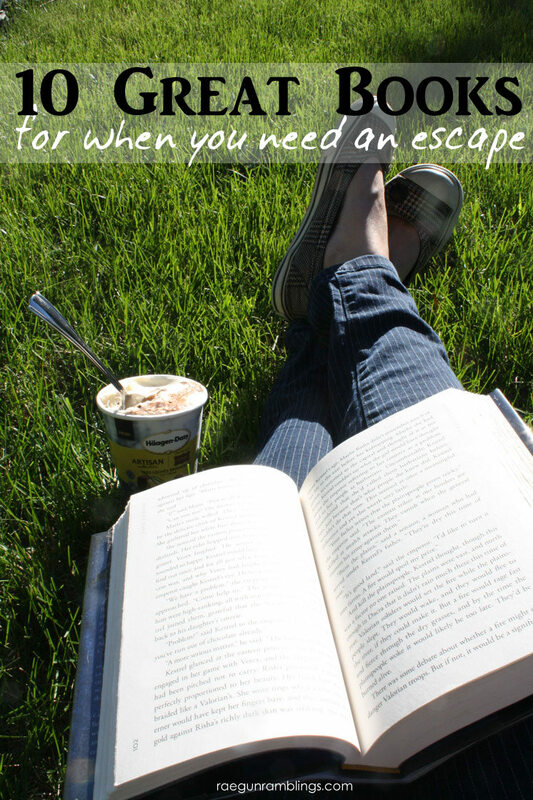 And there is not better escape than a good book, great ice cream and some sunshine. I love reading too. My faves are Cozy Mysteries. 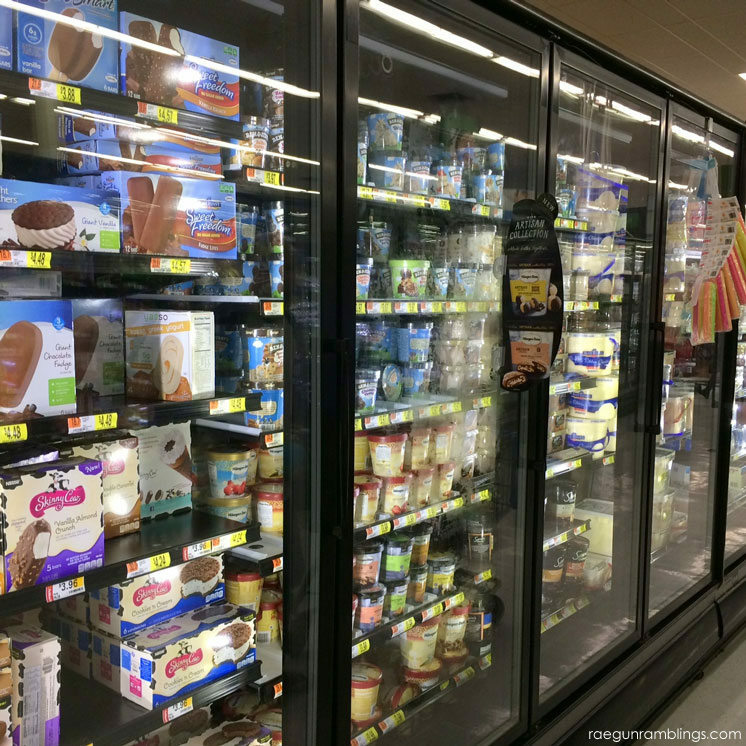 The ice cream makes me want to go to the store. Lol!